Home > Shop By Brand > RUPES Polishers FREE SHIPPING! > Rupes LHR 15ES Big Foot Random Orbital Polisher FREE SHIPPING! The Rupes LHR 15ES Big Foot Random Orbital Polisher gets its name from its impressive 15 millimeter throw. The throw of the machine indicates the size of the orbit the pad makes. Consider this: a conventional random orbital polisher has a throw between 4 and 8 millimeters. The advantage of a larger throw is that more surface area is being covered as you polish. This means you’ll be able to remove swirls, scratches, water spots and other paint defects in considerably less time. The Rupes LHR 15ES utilizes a 5 inch hook and loop backing plate designed to accommodate 5.5 inch and 6 inch pads – the perfect size for modern vehicles with curvy panels and sharp body lines. The Rupes LHR 15ES Big Foot Random Orbital Polisher ensures a perfect finish with its random orbital motion and exceptionally large throw. One of the biggest advantages of the LHR 15ES is that no swirls or holograms (also referred to as buffer trails) are instilled into the paint as you polish. 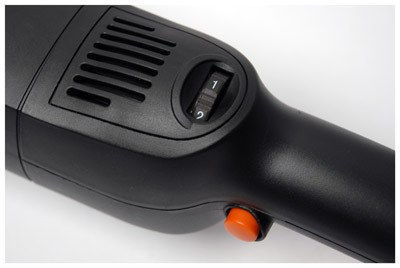 A conventional rotary/circular polisher, while very effective at polishing paint to remove defects, leaves swirls and holograms in the finish as a result of its direct drive, circular motion. Simply put, the Rupes LHR 15ES Big Foot Random Orbital Polisher leaves you with a perfect finish that’s free of swirls and holograms – all without the risk of burning through the paint. The Rupes LHR 15ES is so easy to use that even a novice can have the polisher mastered after only one panel! The Rupes LHR 15ES Big Foot Random Orbital Polisher is the smoothest running random orbital polisher available. Like a fine Italian sports car, the Rupes LHR 15ES features remarkable engineering and exquisite craftsmanship; the ergonomics along with fit and finish on the LHR 15ES Big Foot Random Orbital Polisher are superb. The soft-start system guarantees an acceleration ramp to prevent accidental dispersion of your compound and polish while the electronic feedback control maintains constant speed in all applications. The energy-efficient 500 watt motor and large, 15 millimeter stroke makes the Rupes LHR 15ES capable of removing up to 1500 grit sanding marks! The Rupes LHR 15ES Big Foot Random Orbital Polisher features a variable speed dial and trigger lock that go hand-in-hand with the carefully designed body of the tool; features like this make the Rupes LHR 15ES the obvious choice for extended polishing sessions. Whether you’re a seasoned professional or someone who simply demands the best of the best, the Rupes LHR 15ES Big Foot Random Orbital Polisher will deliver. 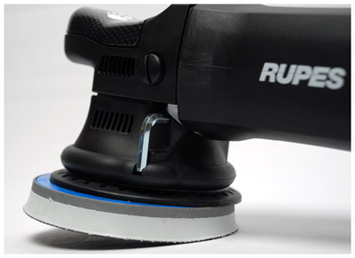 The Rupes LHR 15ES includes a 5 inch hook and loop backing plate. 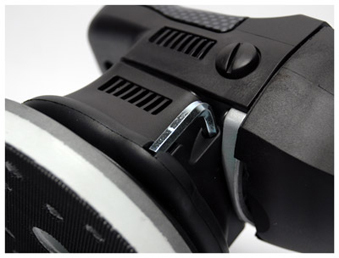 Due to the machine’s large stroke, it is recommended to only use Rupes approved pads and accessories with the machine. Rupes LHR 15ES Big Foot Random Orbital Polisher Deluxe Kit FREE SHIPPING! 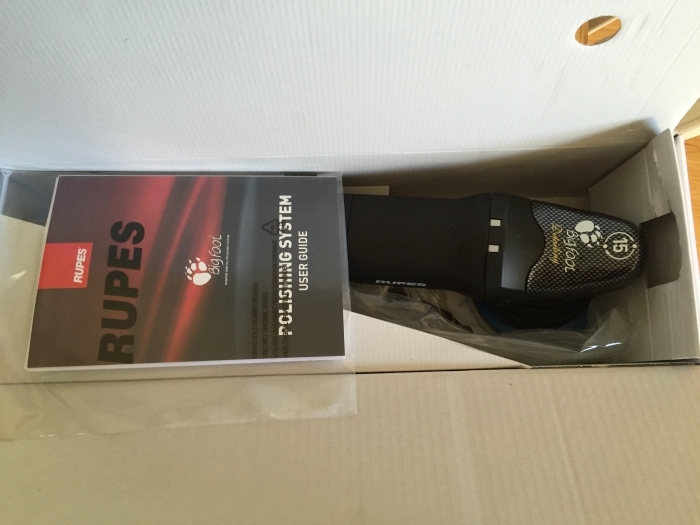 Rupes LHR 15ES Big Foot Random Orbital Basic Kit FREE SHIPPING! Rupes LHR 15ES 6 Inch Pad Kit – Choose Your Own Pads! FREE BONUS FREE SHIPPING! 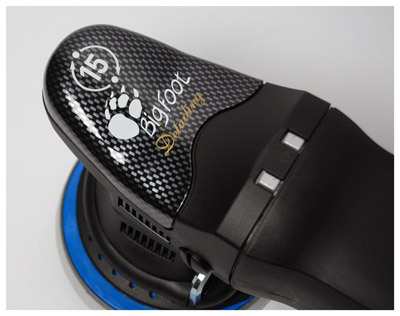 Rupes Big Foot Random Orbital Club Kit - Choose Your Own Pads! FREE BONUS FREE SHIPPING! Rupes Zephir Gloss Coarse Gel Compound 500 ml. Rupes Big Foot Random Orbital Polishing SystemRUPES Polisher KitsMike Phillips’ How to Use The RUPES Bigfoot Paint Polishing System Rupes Foam PadsRupes Microfiber PadsRUPES Wool Polishing PadsRUPES Mille Foam PadsRUPES Rotary Foam PadsRupes UHS Easy Gloss SystemRUPES BigFoot LK 900E Mille Gear Driven PolisherRUPES BigFoot LHR 19E Rotary Polisher Now in Stock & Ready to Ship!RUPES BigFoot LHR15 Mark III Random Orbital PolisherRUPES BigFoot LHR21 MARK III Random OrbitalRupes BigFoot LHR15 MarkII Random Orbital Polisher - On Sale!Rupes BigFoot LHR21 MarkII Random Orbital Polisher - On Sale!Rupes LHR 21ES Big Foot Random Orbital PolisherRupes LHR 75E Mini Random Orbital Polisher FREE SHIPPING!Rupes LHR 12E Duetto Random Orbital Polisher FREE SHIPPING!Rupes Bigfoot Nano iBrid Short Neck Kit FREE SHIPPING!Rupes Bigfoot Nano iBrid Long Neck Kit FREE SHIPPING! This product worked well the only downside is that it only lasted about a year and a month. Very easy to use,as long you used the right pads and wax(,merguiars )very light ,it's like a Ferrari 0f polisher.would buy again . 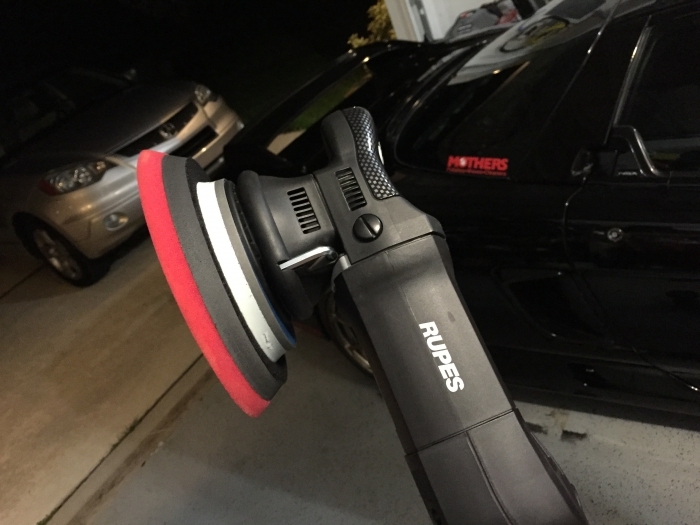 The rupes 15 is a awesome machine, way better then my PC I'm replacing. Smooth and cuts fast. Awesome well presented package and system. Very premium and professional. ProsSmoothest DA in the world.